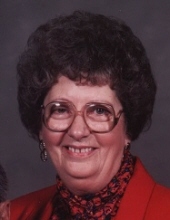 Ruby Davis Carner, age 94, of Walton, KY and formerly from Dawson Springs, KY passed away on Thursday, January 3, 2019 at St. Elizabeth Hospice, Edgewood, KY. Ms. Carner was born on October 26, 1924 in Caldwell County, KY to the late William Edward Davis and Alma Pearl Howton Davis. She and her husband owned and operated the “C Star Market” in Dawson Springs, KY for 24 years, and after her husband’s passing she worked at the Adsmore Museum in Princeton, KY as a Docent for 12 years. Ms. Carner was very active in the Dawson Springs Chapter #133 of the Order of the Eastern Star where she served as Grand Matron for sixteen years. In addition to being the Grand Matron at the Local Chapter, she was appointed as the chair of the scholarship fund at the state level. She was a member of the Lafayette Baptist Church where she served as the clerk and a Sunday School Teacher for 57 years. Ms. Carner is survived by one daughter ~ Tana Shea Carner Aldridge of Walton, KY; one granddaughter ~ Rani Shea Peffer of Crittenden, KY; and two great-grandchildren ~ Lily Shea Peffer and Zane Anthony Peffer. She was preceded in death by her parents; her husband ~ Owen “O.C.” Carner, a brother ~ Archie Edward Davis, a sister ~ Dora Mae McGregor, and four infant brothers and sisters. Visitation for Ms. Ruby Carner will be Saturday, January 5, 2019 from 5:00 PM until 8:00 PM at Beshear Funeral Home, Dawson Springs, KY, with an Eastern Star Service being held at 7:00 PM that evening. Visitation will again be held on Sunday, January 6, 2018, from 9:00 AM until the funeral hour at 2:00 PM at Beshear Funeral Home. Rev. Donnie Howton and Rev. Charlie Parker will officiate the service. Burial will follow at Rosedale Cemetery, Dawson Springs, KY. Active pallbearers include Carol Davis, Bob Kratz, Darren Hart, James Howton, Carroll Neisz and Donald Davis. Henry Porter will be an Honorary Pall Bearer. To send flowers or a remembrance gift to the family of Ruby Davis Carner, please visit our Tribute Store. On Saturday evening, January 5, 2019, 7:00 PM, an Easter Star Service will be held for Ms. Ruby Davis Carner at Beshear Funeral Home, Dawson Springs, KY. Friends and family are invited to attend. "Email Address" would like to share the life celebration of Ruby Davis Carner. Click on the "link" to go to share a favorite memory or leave a condolence message for the family.